Thanksgiving is over and now you’re staring at all of those leftovers, right? 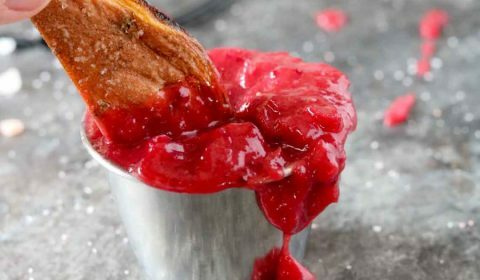 Instead of just eating the same stuff heated over again how about using the leftovers to make a new creation, like this cranberry fry sauce?? I’m always looking for new dipping sauces for my fries, especially my baked sweet potato fries. 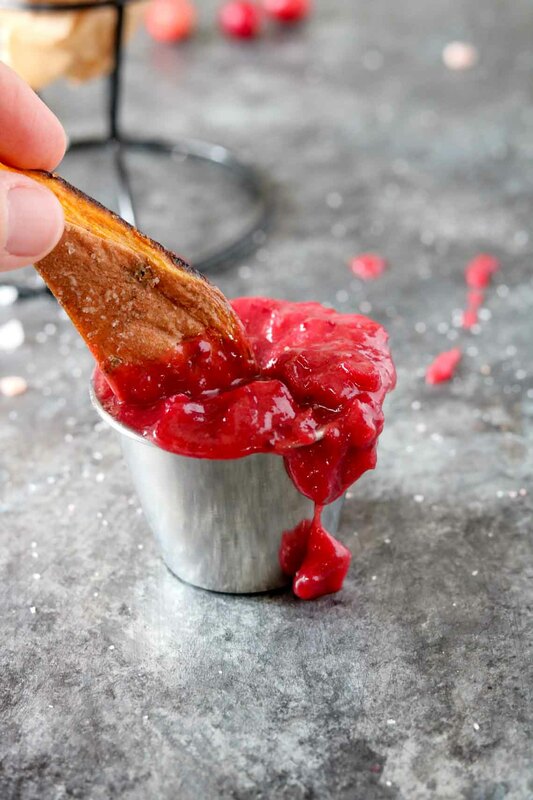 This cranberry fry sauce is tart, but sweet and is the perfect match for sweet potato fries! I’m also thinking this fry sauce would serve well in other capacities, like on a turkey sandwich, or mixed in with a turkey casserole. 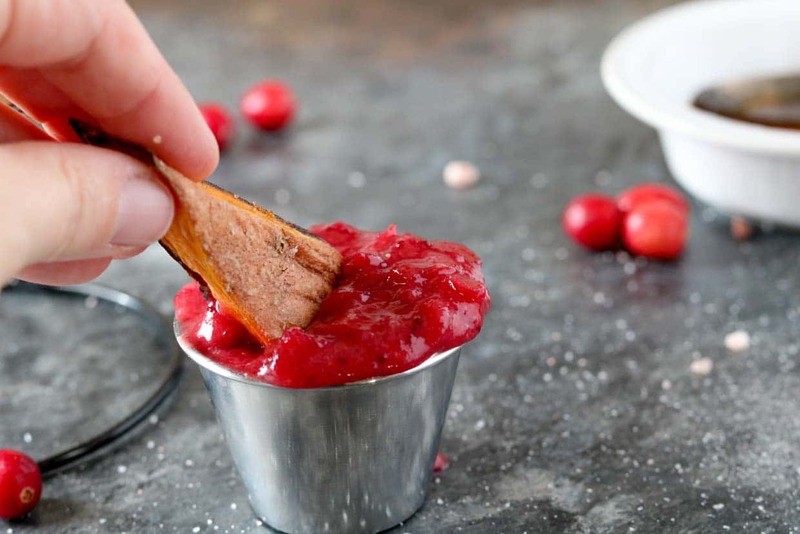 It’s also super easy to make, 3 quick ingredients, and will keep your leftover cranberry sauce from going to waste! Win win! 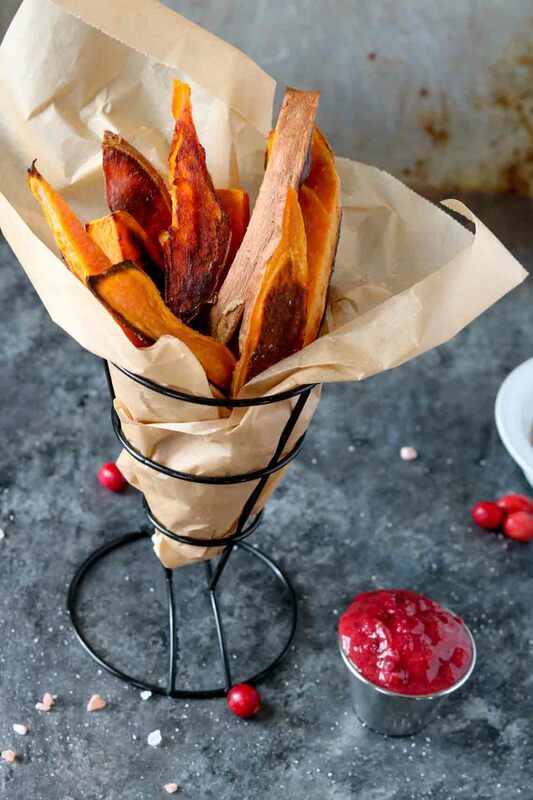 Bake the sweet potato fries according to the recipe. In a small saucepan, add the fry sauce ingredients and heat up slowly on medium-low heat.